"For more designs please visit www.buildasofa.com"
Welcome to Leather Designs - home of one of the finest leather or combined leather and fabric furniture lines available today. 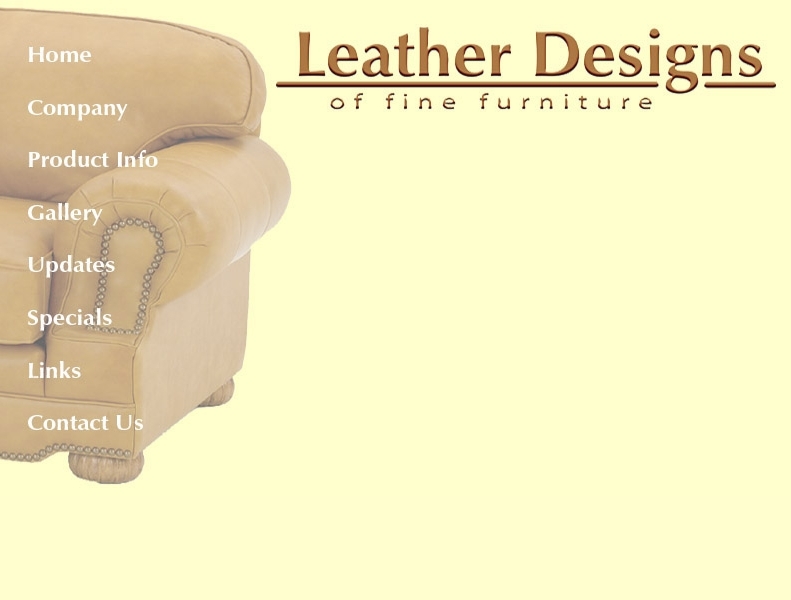 Leather Designs is manufactured in the United States offering you the finest leathers and fabric combinations available. Our quality, hand crafted furniture will give you years of comfort and use. Please visit our product Gallery to see the wide variety of product lines we offer. Choose from traditional, transitional, modern and contemporary series in a wide variety of sizes and available configurations. For a different look, be sure to check out the series offering leather and fabric combinations. We specialize in combining leather and fabric giving you the look of an all leather or a leather and fabric combination. Two pieces of furniture for the price of one! Click below to see for yourself!